As it seems we have plunged straight into the frigid depths of winter, an escape in jewels is a most welcome diversion! With this in mind, The Weekly Bauble takes us away to the exotic orient through the dreamy, romantic fantasy world of Anabela Chan. While Anabela is London and Paris based, her extensive travels and nature are infused in her elegant, sculptural jewels. Initially she trained as an architect, specializing in print and embroidery design, and worked with the likes of Sir Richard Rogers, Alexander McQueen and All Saints. Following this, she returned to jewelry and completed her studies at the Royal College of Art, winning 5 prestigious awards. Her flagship boutique has just recently launched in London’s Ham Yard Hotel, where one can immerse in her marvelous menagerie of beautiful art objects and jewelry. 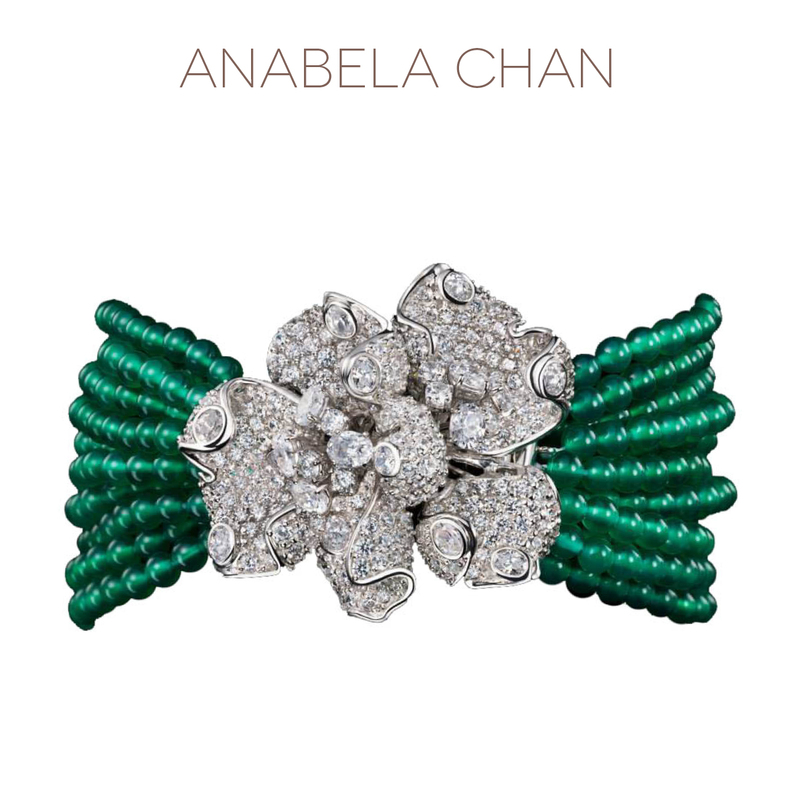 Our bauble is Anabela’s Emerald Bloomingdale Bracelet from the Fleurs d’Elixir collection, inspired by exotic orchids. 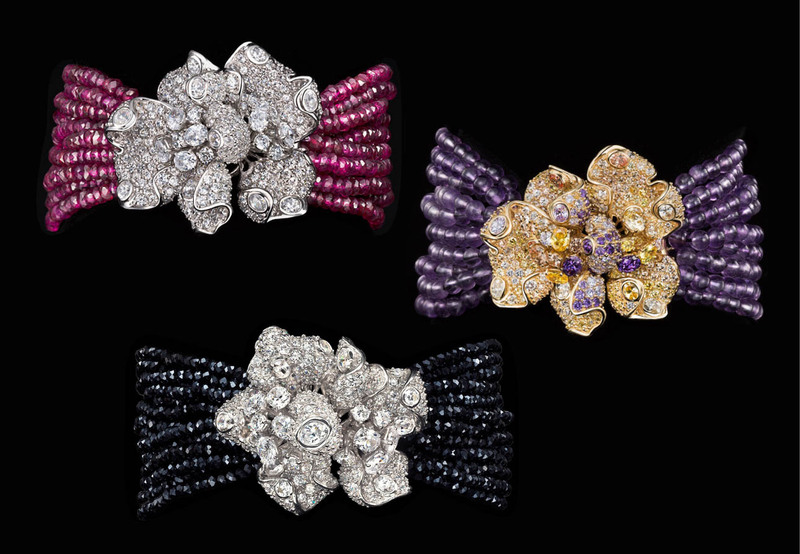 The bejeweled flower, hand pave-set with 306 white lab-grown diamonds in 360 degrees, is also a detachable brooch. The bracelets are also designed with amethyst, ruby, and black onyx. The matching ring, earrings and necklace are available to complete a stunning suite. Kindly email beautifulcurious@gmail.com with inquires.